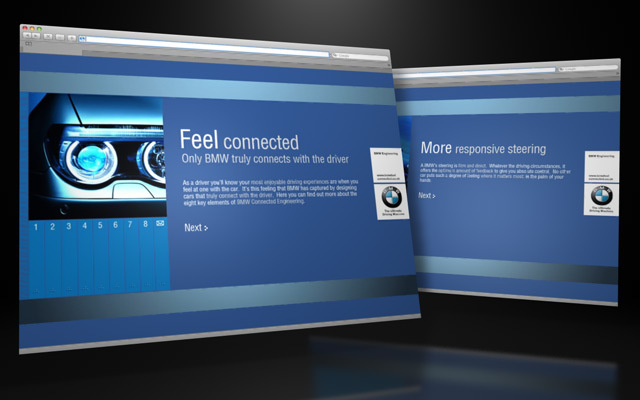 Commissioned on behalf of Sky Rock, Square Circles Interactive Team was recruited to develop a microsite as part of the BMW ‘Feel Connected’ campaign. 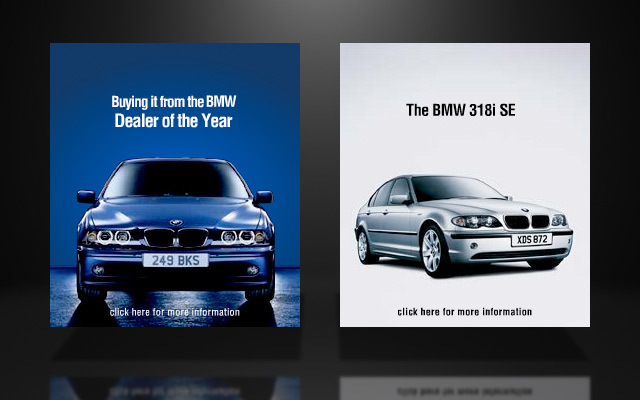 The campaign spread across television, cinema and press campaigns and set to highlight the connection between BMW drivers and their cars. 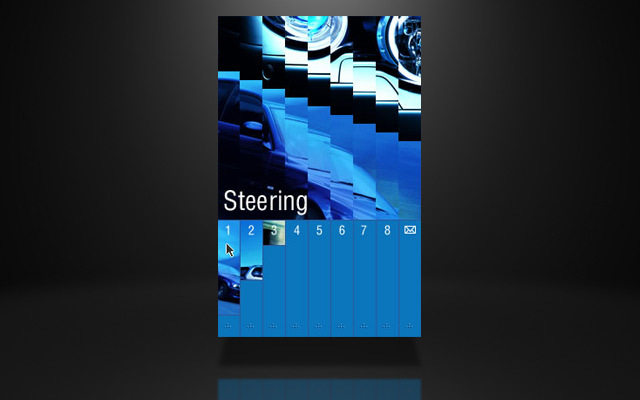 The site was designed to tie in with other media from the outset so it could be synched with the rest of the campaign. The site is Flash based and fuses video and motion graphics allowing for a fully interactive experience. 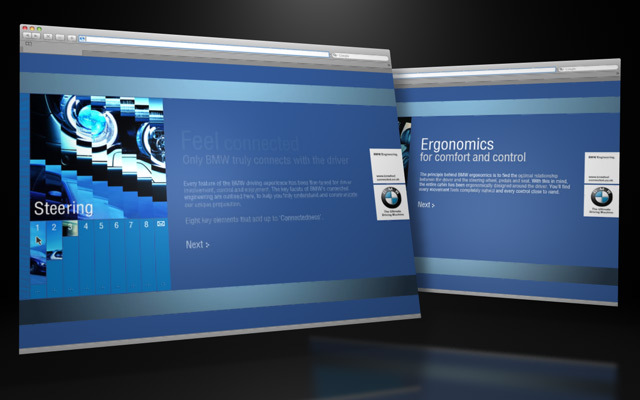 The site communicates the close bond between BMWs and their drivers. The belief is that no car connects with the driver like a BMW. Utilising an intuitive design and navigation the microsite helps provide a clear focused area for data capturing, event promotion, and product information. The campaign proved a huge success and effectively used television, online and press to highlight how every BMW driver experiences a feeling of connectivity with their car.